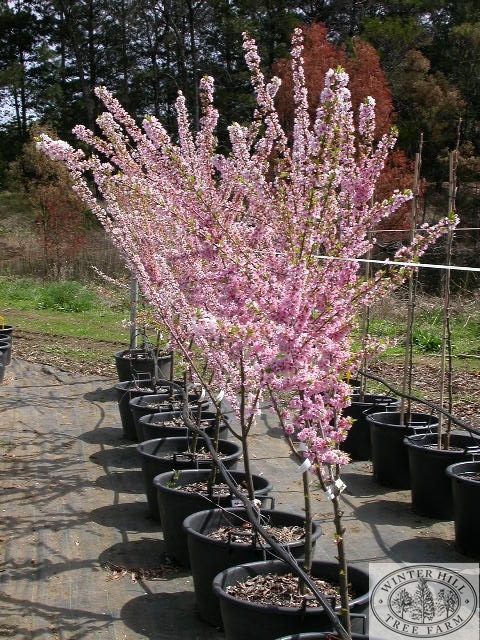 For a snapshot comparison of all Prunus varieties available at Winter Hill click here. A small tree with moderate growth rate. Single white flowers completely cover the long willowy branches. In peak bloom the blossom is white with splashes of pink, gradually turning to coral pink. A spectacular Spring display early in the season. Deep rusty red Autumn colour and lush green Summer foliage. Great for small gardens and streetscapes.